Marley uses only quality products that can with stand all natural elements water, sun and of course the tears. You can see in Marleys portfolio her favourite makeup style is natural skin with good coverage, a subtle contour with a little glow, popping eyes with a good set of filled in brows (not overdone) & finished with a complimenting lip! 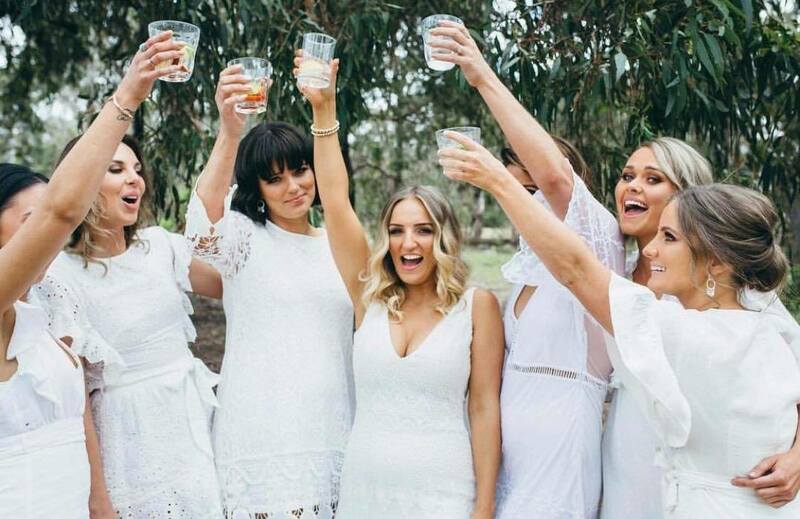 You want to create memories that will last a lifetime and Marley is 100% dedicated to making you look and feeling your best. Marley highly recommends a trial for your wedding or any formal event. 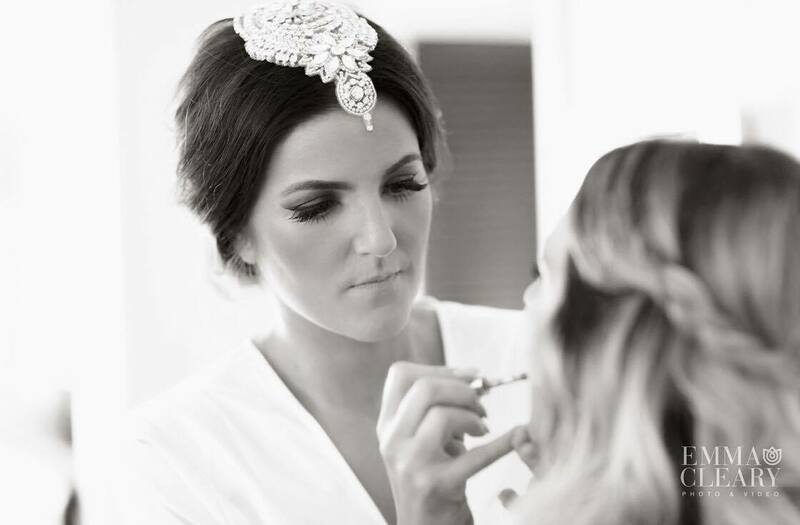 You want to be sure that on your wedding day, your makeup is exactly as you had hoped. As well as a perfectionist, Marley is also well trained in colour theory. 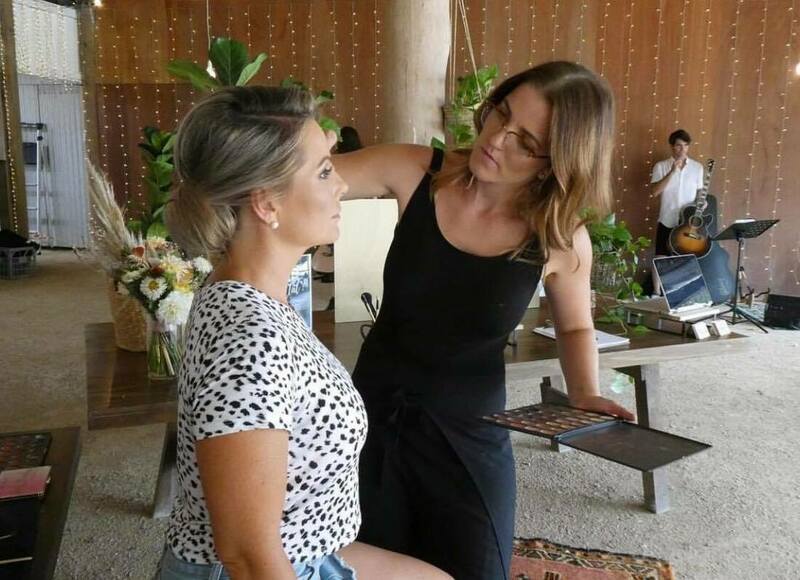 She will work with you to decide on the best colours and look to suit your particular face shape, skin tone, flowers and wedding style - ensuring everything flows correctly. We often say “a trial is so you know what you don’t want”. Sometimes you find a picture of how you think you want your hair and makeup and when you try it on yourself- you realise its what you don't want.... don’t leave this to your wedding day! Marley recommends the same hair stylist every time, which she can also book for you to save you time. ​All hair and makeup trials in the Byron salon, but we will travel to you on the day. Website designed & maintained by © The Saltwater Creative Co. All rights reserved.